NSPE sent a joint letter with the High-Performance Building Congressional Caucus Coalition to President Obama and Secretary of the Interior Ken Salazar urging them to reconsider the decision to move the Solar Decathlon from the National Mall. The Solar Decathlon challenges collegiate teams to design, build, and operate solar-powered houses that are cost-effective, energy-efficient, and attractive. The competition is being moved from the Mall in an effort to protect and restore the Mall. 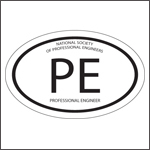 The announcement, however, comes just months before the event is set to be held, causing hardship for competing students and event sponsors who have already budgeted and planned for an event in Washington, D.C.
NSPE is a member of the HPBCCC, a coalition of more than 100 associations and corporations that seeks to heighten awareness and inform policymakers about high-performance building issues, including new building technologies, enhanced U.S. economic competitiveness, and increased energy efficiency. The coalition provides guidance and support to the Congressional High-Performance Building Caucus.